Rustic Adjustable Drafting Desk - Free Shipping! The Rustic Adjustable Desk is made of reclaimed wood and cast iron. 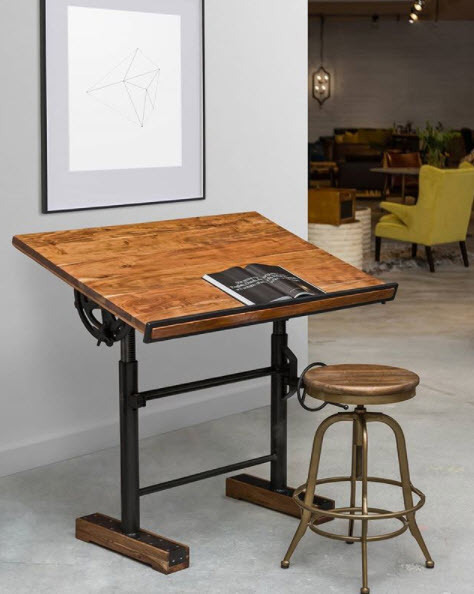 With its industrial design style, this chic modern desk has the look of a traditional drafting table. Adjustable hand cranks change both desk height and angle, making it versatile and functional.